The ZfP provides an excellent infrastructure and offers modern machine facilities on rental basis. 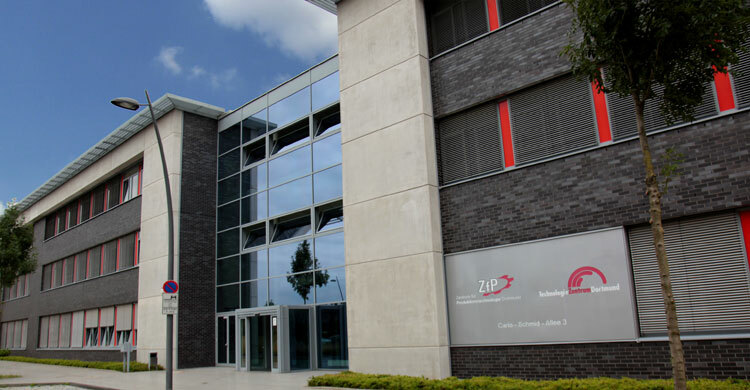 The ZfP offers about 10.000 square meters of total floor area – a lot of room for workshops, laboratories and testing space as well as for offices and technical department. The total volume of investment of about 20 Mio. € has been raised within the scope of a joint funded project in collaboration with the City of Dortmund, the Land of North Rhine-Westphalia, the Federal Republic of Germany and the European Union, in order to offer young technology-based enterprises a modern basis of infrastructure. The center holds the capacity for about 25 enterprises, from most different sectors in all fields of the industrial value chain.